In her few short months as editor-in-chief, Anne-Marie Curtis has done wonders for UK ELLE. She has managed to score covers with Cara Delevingne, Rihanna, Ashley Graham and Daisy Ridley while producing stunning images to brighten up the newsstand each month. The magazine’s newly unveiled January offering features Victoria’s Secret Angel and Michael Kors favorite Romee Strijd, photographed on location in New York Cityby Laurie Bartley. Romee poses with a basketball while wearing a glamorous Louis Vuitton outfit and smoky eye makeup (as one does). UK ELLE managed to peak our forum members’ interest for yet another month. 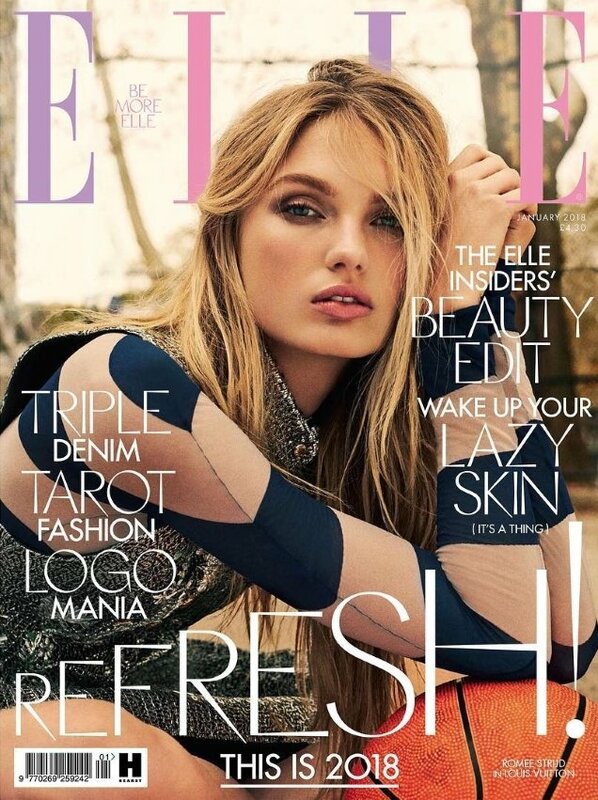 “UK ELLE is really killing it. Love it (except the awful ‘refresh’ layout),” posted MON the moment the cover came to light. “It’s definitely a REFRESHING January cover. A bit messy with the text clashing an already vivid cover image, but I love Romee and her face, so I might be getting this!” said Srdjan, showing Romee some love. “I was never her biggest fan, so the messy art direction makes this cover even less appealing to me. I do like the styling and her editorial despite how un-British it looks,” stated Benn98. Are you an admirer, or do you feel like the layout ruins the cover? Sound off and see more here.